Why do what everyone is doing? Want to do something different? One day I'll quit my job. Or so we all say. Each one of us has something we like doing the most. Something that engrosses us, we lose track of time, other things seem mundane. It can be gardening, cooking, reading a nice book. But I am not talking about activities that can be done sitting on a couch, like watching movies or the book reading. That can be done in free time. How about those outdoor activities that require one to devote time and effort? In my case, that ‘something’ is mountaineering. Yes, another post on it so bear with me until I write about something else. In the next post, promise. 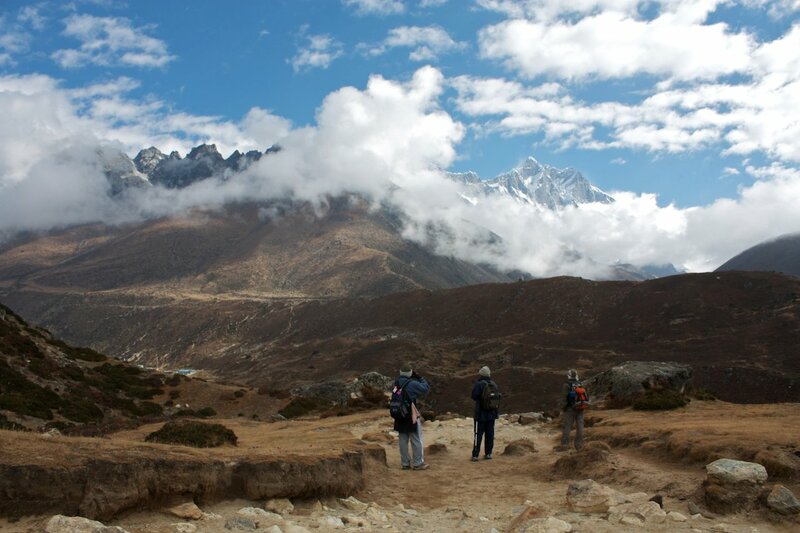 As an activity, mountaineering or plain exploring the countryside takes time, weeks and even months at a time. With the majority of our time spent inside air-conditioned offices on reclining chairs, jutting in and out of countless meetings and glued to the computer screen, trying to crunch numbers to make tons of money. Now before you think I am degrading the office-job, nope – I am doing one and I know how necessary it is. But how many of us really enjoy doing it? Given a choice (i.e. money needs taken care of), would you be doing something else? I rest my case on this. So the need to earn money prevents us from doing the thing we love the most? Earning the social standing, living up to parents’ expectations are also a few secondary things here. I’m torn between this strife too. Very few of us really do what we love and earn money out of it too. And hats off to those who found a way to achieve both. Yes, we need to pay the bills, of course. But at the cost of true happiness in our lives? I’ll boldly say, I don't know. It is discomforting at the least and horrifying at the worst to even comprehend leaving the cushy corporate job and the comforts that come with it to go out and do that something we love. 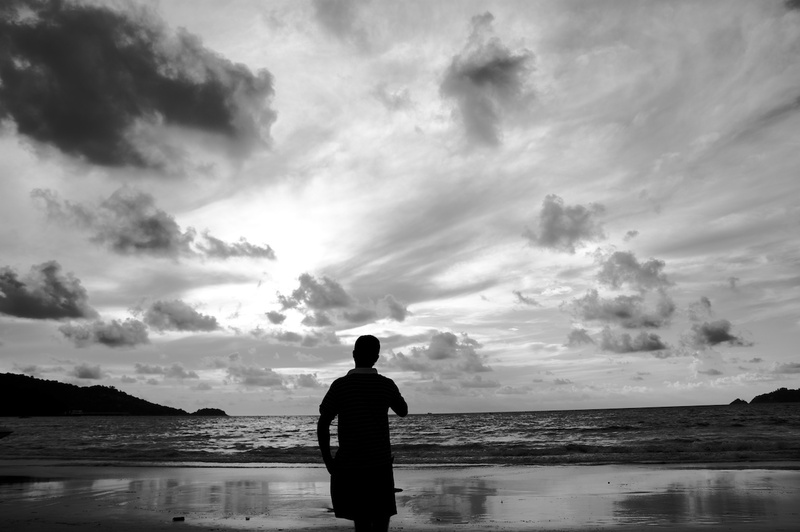 For one, we are used to the life of comfort, the safety, the consistent, unchanging life it offers. Secondly, the very prospect of leaving it all leaves us with the question, “And then what?” Yes, it is a tough question to answer. I’d love to climb mountains all my life, but then I know I won’t likely earn as much money as I do right now. No more iPods, no more fancy motorcycles, no moreflat screen TVs, no more fancy apartments; most importantly – the steady stream of money that flows in my bank account every month will suddenly die out. There must be a way, or is this a compromise only to be accepted and lived with? Finally, the question is – what does it take to leave this comfort-zone and do the unthinkable? A resolve stronger than steel? A rebellious attitude? A hermit-like dispassion for all things material? Or just the irresistible urge to not do anything you don’t like? I’m on the verge of answering this question for myself; what do you think is the answer for you? The question has been asked to almost every mountaineer and one of them has given a reply most people consider befitting. The legend George Mallory said, “Because it’s there”. That may have been true in 1924 when Mallory disappeared on Mt Everest. Personally, I think the major reason behind climbing for many current mountaineers can be summed up in one word – glory. If you ask me this question; that is one of the answers I will give too. Yes, I belong to the Facebook generation and it feels nice when you climb and post photographs which are acclaimed by many. I would say, as will others that it is in fact, good photography and nothing to do with mountain climbing specifically; which brings me to my next answer – the high you get out of doing stuff most people don’t (or won’t). That also explains the bungy jumping I did or the sky dives or paragliding trips that my friends do. Unlike many mountaineers, I don’t feel like I belong in the mountains nor do I feel at home there. I feel it’s a desolate place, which is very tiresome to reach and exposes me to extreme cold. I hate getting cold, the aircon in my office and in Singapore's malls leaves me chattering and I literally get cold feet at night without the blanket. The weeks spent without shower and shaving, the itchy head and smelly feet make me loath myself and sometimes, the experience itself. The heavy backpack wreaks havoc to your body at high altitude and subzero temperatures. The mental anguish exacerbated by high-altitude headache is the not the last straw. The anxiety given to my family who pray I return safely constantly haunts me as I take every step uphill. So why? I don’t have a fixed answer. It changes depending on whom I am talking to and whether I am sober or not. Wanting to be different only gets one so far; and there are many ways other than climbing to do this. I have realised that it is good for me to push myself just beyond what I think is my limit. Read that again - "just beyond" and "what I think is my limit". And this is not just my physical limit, which remains quite inadequate, as every trek reminds me. If you notice, the most prominent mountaineers of our times are not images of Hercules or Adonis. Mentally though, they are very strong. Most of them have excellent leadership skills, a solid work ethic, carrying your own weight in a team (literally), a massive amount of trust in your partner (you entrust your life to him/her when you rope up) - basically the stuff that life in general teaches us, mixed with some of the fancy management stuff that business schools teach us. Above all, they have a strong urge to perform and a will to survive. What is life if not this? I certainly think that is what it is; climbing a peak is like an entire life condensed in a few weeks. And I want to live many lives before I die. Check out a photo-story of my expedition to Mera Peak (6461 metres or 21,200 feet) on Facebook. Marketing - it's not rocket science. Well, almost. Let's forget for a moment about whether marketing is an art or science. That is a debate neither side is likely to win; and saner minds argue it is both. What's more interesting to see is whether the enigma of marketing can be decoded a bit if we consider it as a science. I already hear people saying 'It's not rocket science', but what if we were to draw parallels with something as difficult to achieve but simpleton visualise - nuclear fission. But before I draw the parallel, let us talk a bit about how the marketing landscape has changed and continuously evolves. Traditional ways do not work any more. Billboards, newspaper inserts, tacky classified graphics are already in the past. Soon we will become immune to television ads, YouTube pre-rolls and even online banner ads. So what is the new face of marketing then? If we look at the most popular products or ideas that have spread then they did not take use of the above channels, at least not in major part. What most popular brands or services or products have is a dedicated group of people out there that are passionate about the product or service and talk about it. Call them advocates, fans or whatever label we want to give them - they are the ones who spread the word more passionately than the most dedicated salesman. This is where the nuclear fission analogy comes in, making it easier to think about this phenomenon. In a typical nuclear fission reaction, a Uranium atom absorbs a neutron and releases three neutrons in turn, which go on to be absorbed by three other Uranium atoms. Now imagine the Uranium atoms as people - those you want to use your product or service, your target audience, early-adopters even. The neutron you feed them is the information about your service, a sample of your product - that one key piece of information that the consumer seeks or you provide which is the trigger to for him to use, much like the trigger for the nuclear reaction. Uncontrolled, the released neutrons in the fission process could result in a chain reaction. And while that is not good in a reactor (but encouraged in an atom bomb), it may be good for your marketing strategy. Imagine multiple Uranium atoms (your users) absorbing neutrons (the information / samples you provide) and they in turn tell other atoms who release further neutrons. This is one chain reaction you want to have on your side. 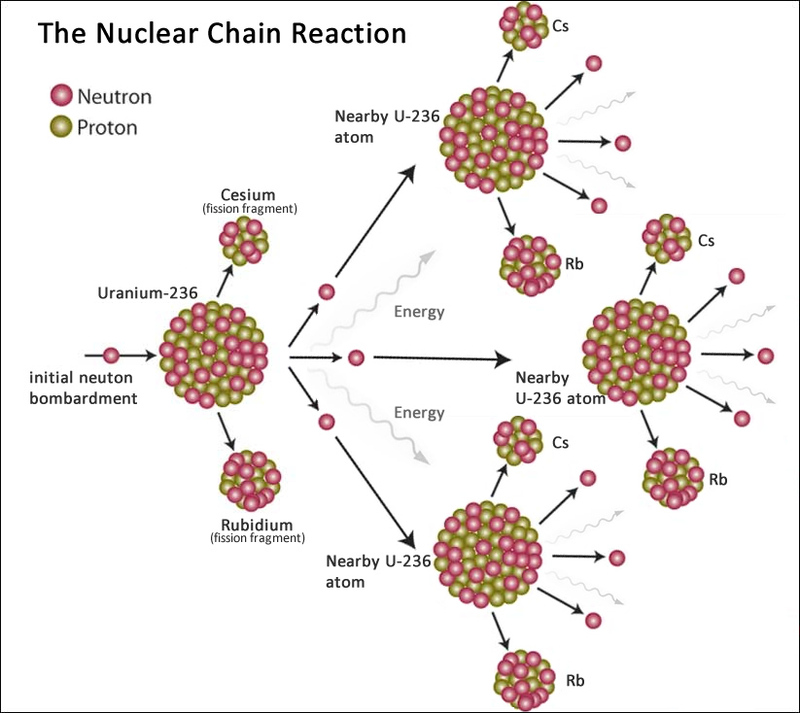 The point to think about is - have you / your business identified where those Uranium atoms are? Where do they congregate and talk to other atoms? And what information do you want to seed to them? That is a better discussion to have than a media plan meeting with your suited agency folks in an air-conditioned room over coffee and bagels. When I am not climbing mountains, I think about and do marketing. Like it? Hate it? Tell me. Use the material here if you like, but do the right thing and mention my name. Awesome Inc. theme. Powered by Blogger.